​Crystal Palace have entered the race to sign Chelsea striker Tammy Abraham after the 21-year-old rejected a loan move to Wolves. 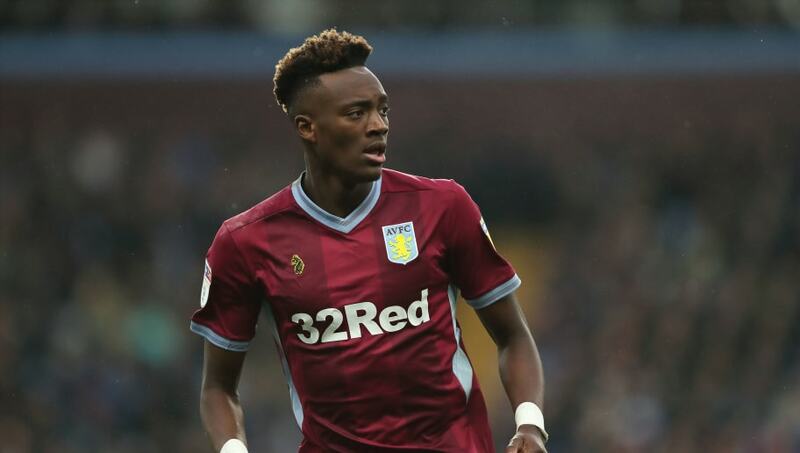 Abraham is currently on-loan at ​Aston Villa and has been involved in 17 goals in 20 appearances for the ​Championship side, netting 16 goals and providing one assist, and it has been reported that the south London outfit are keen on the Englishman. ​Palace are six points clear of the relegation zone in 14th and have the joint-third worst attacking record in the league, bagging just 19 goals in their 21 matches, with only ​Newcastle and ​Huddersfield scoring fewer. According to ​The Mirror, the Eagles are in pursuit of a striker to add some much-needed firepower up front, having missed out on former ​Chelsea and ​Liverpool striker Dominic Solanke to Premier League rivals ​Bournemouth, who tabled a bid of £19m, higher than that of Palace. Abraham is understood to be at the top of their wishlist, and the Selhurst Park club could make an offer for the Championship's joint-top scorer, who may seek a return to London. The Chelsea striker cast doubt over his future at ​Villa, after failing to turn up to training on Monday, with speculation suggesting that the forward was heading to Molineux. Yet, despite ​rejecting a move to the side that sit ninth in the ​Premier League, Abraham may be swayed to a move closer to home. Abraham, who has made just three senior appearances for the Blues, didn't have the best of spells on loan in the English top-flight at ​Swansea last season. He netted eight times in 39 matches in all competitions, including five in the Premier League (which saw him earn two senior international caps against Germany and Brazil). However, the Swans were relegated. Yet, despite the interest in the £18m-rated striker, his parent club are adamant the forward will only move on loan. This gives promotion-chasers Villa, who currently sit five points adrift of the play-off spots, confidence that Abraham will remain with the side until the end of the campaign.